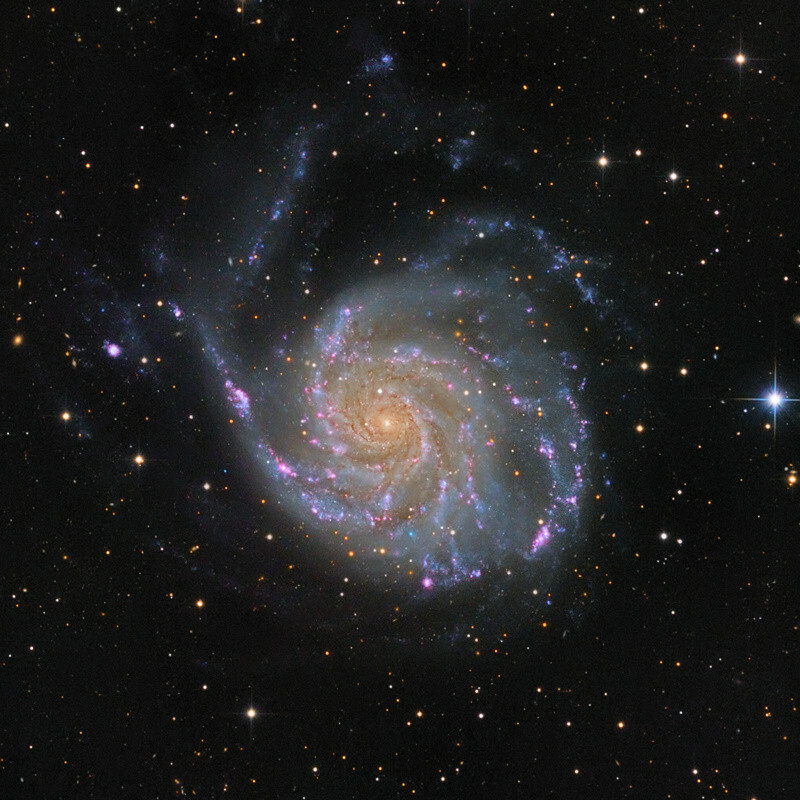 25 5min subs in RGB at ISO 800 and 24 10min subs with 6nm Ha filter at ISO 1600 stacked in DSS then adjusted in PS CS2. Canon 500D(modded) , Orion Atlas mount and the lens was the Nikon 180ED @ f/2.8 and a 7x40mm finder as a guide scope. March 2011 Winner - Sketching Forum's Finalist - Roel! 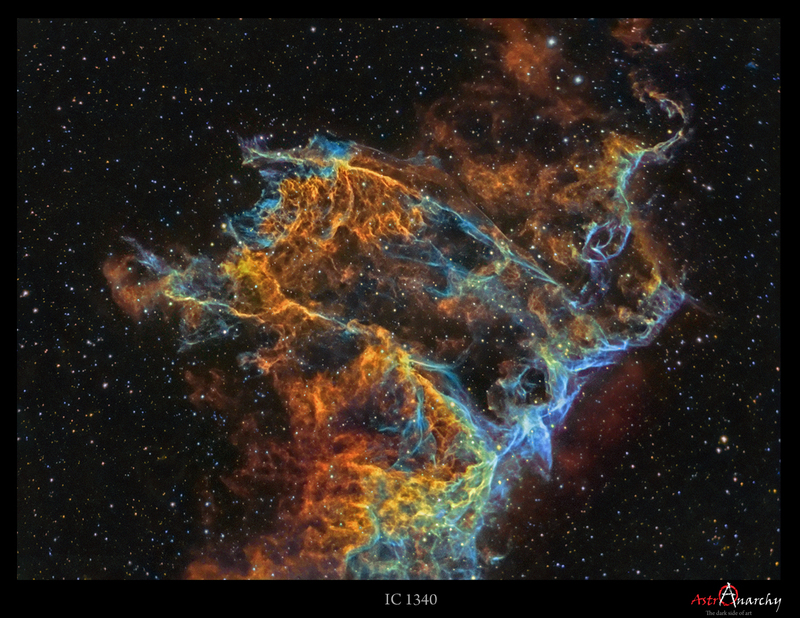 This is my submission to this month's contest: AR 1176 in H-Alpha. 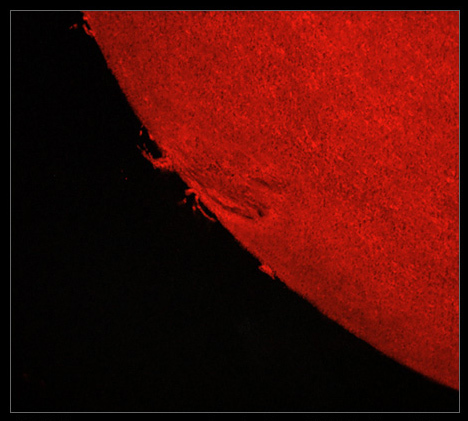 It was very active with some small but bright proms and and a nice filament. April 2011 Winner - Sketching Forum's Finalist - maroubra_boy! 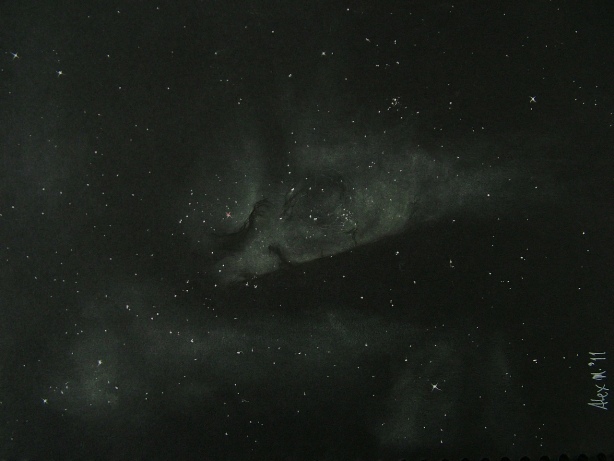 My submission is of my recent sketch of the Eta Carina Nebula done using my 17.5" dob from my home in Sydney Australia. I had posted this sketch earlier this month in the sketching forum. This was by far my most challenging sketch to undertake. It is also my most satisfying one. 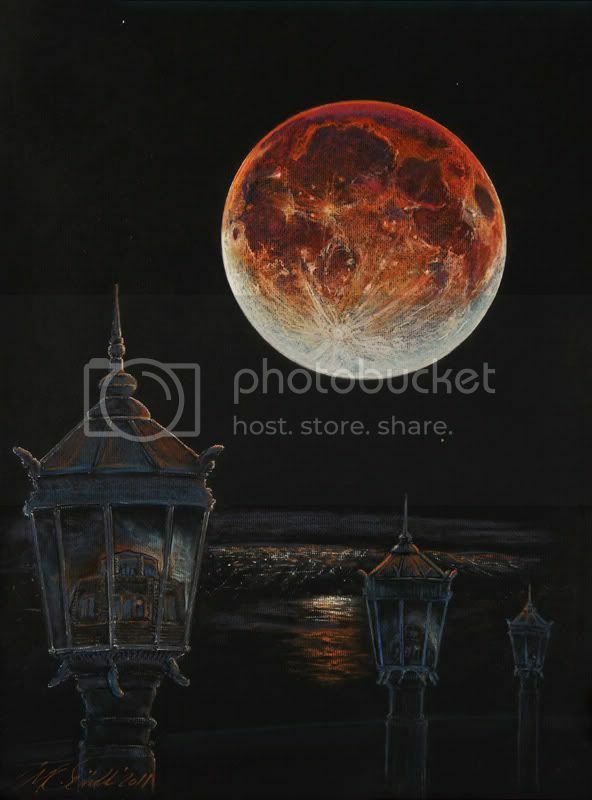 That it was done under the light polluted skies of Sydney makes me wonder what a repeat undertaking from a dark site will reveal additionally. The supermassive star that lends its name to the nebula, Eta Carina, is the bright, reddish star approximately in the centre of the sketch. Media: White pastel, white and black charcoal pencils, white chinagraph, white and coloured inks on A4 black paper. 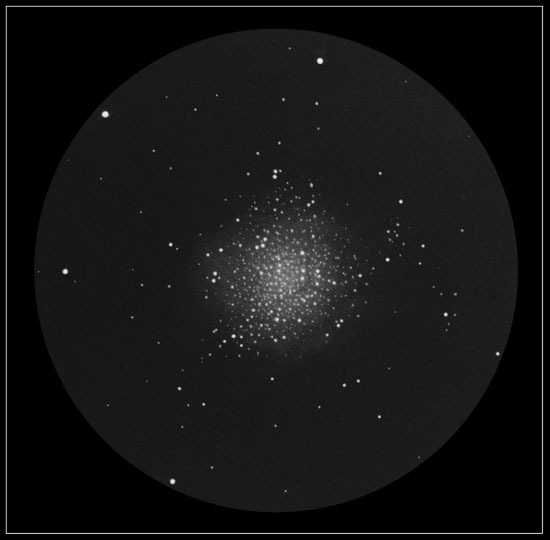 This is my submission of a sketch of M13 - the Great Hercules Cluster. The drawing was made in Negev desert, while I was observing with my 8" Newtonian. Sky transparancy was excellent (~6.8m), and M13 showed rich detail - including star streaks and dark filaments. Among them the famous "propeller" could be easily spotted (slightly right from the cluster's center in this sketch). Inverted graphite pencil sketch on a white paper. Equipment: reflector S&D 254 mm. f/4.7 (New carbon tube! ), Mount WhiteSwan-180, camera QSI-583wsg, Tevevue Paracorr. Off-axis guidecamera Orion SSAG. RGB filter set Baader Planetarium. 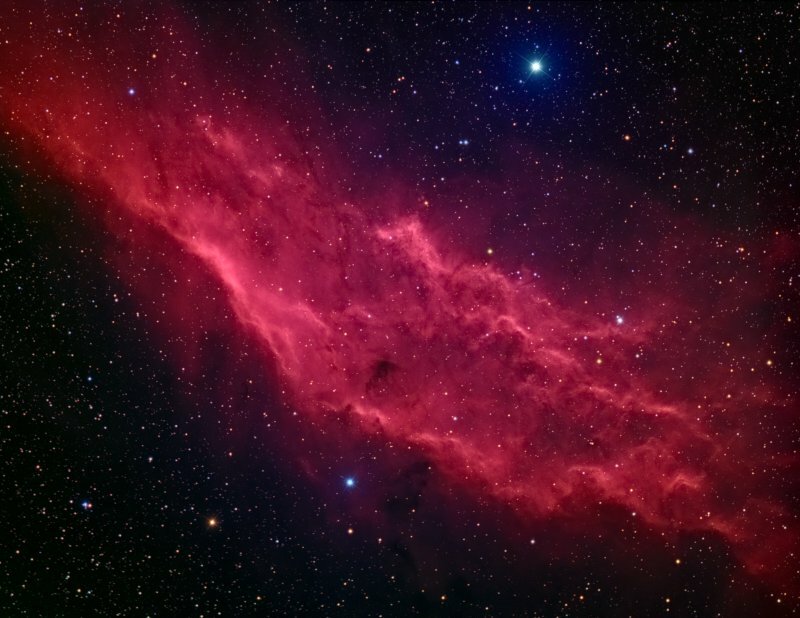 L: 20x600 sec., RGB: 10x600 sec. each filter, all unbinned. 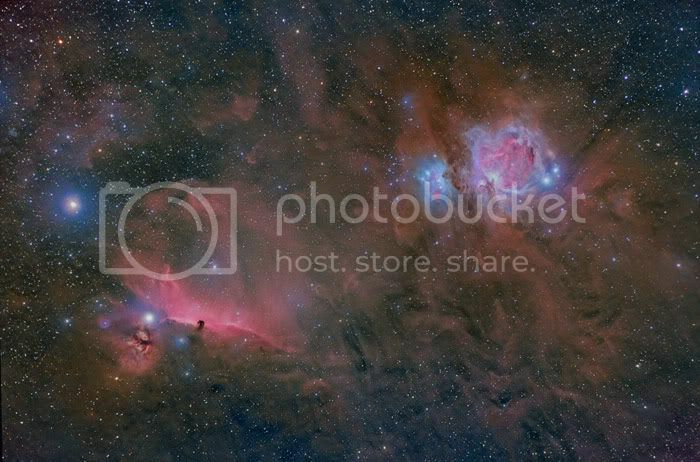 Processed Pixinsight and Photoshop CS5. On August 2everything seemed to be right. The weather was absolutely great, the Sun was more active than I've seen so far this year and the seeing was above average. 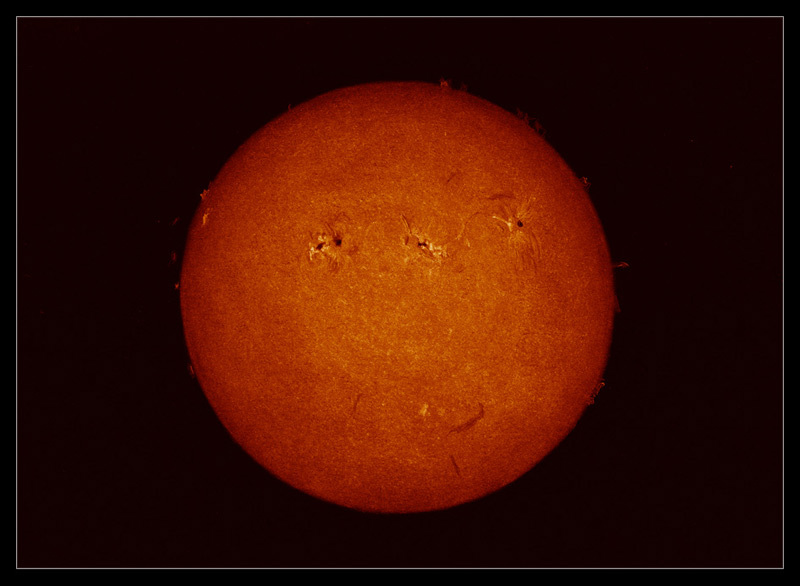 A good day to try sketching a full-disk h-alpha sun for the first time instead of an isolated prominence. First I made a blank disk with a soft white pastel. I took the sketch outside and filled in all the details I could see through the eyepiece of my 70mm solar telescope with white and black pastel pencils. All regions were very active, especially the middle one: it changed its shape within minutes. Sometimes little bright flare-like brightenings appeared and disappeared 2 minutes later. A wonderful sight! It took me one hour (from 08.00 UT - 09.00 UT) to complete the drawing. I scanned the (black&white) sketch and gave it a reddish color with Photoshop. Sketch made from my backyard in Deventer, The Netherlands. Tele Vue NP101is, QHY9m CCD, Baader 2" LRGB filters, SX-USBFW automated filter wheel. Autofocus with TV focusmate driver + focusmaster . Scale 25% of original size plus a few pixels crop to downsize to 800x600. Here is my contribution for this month. 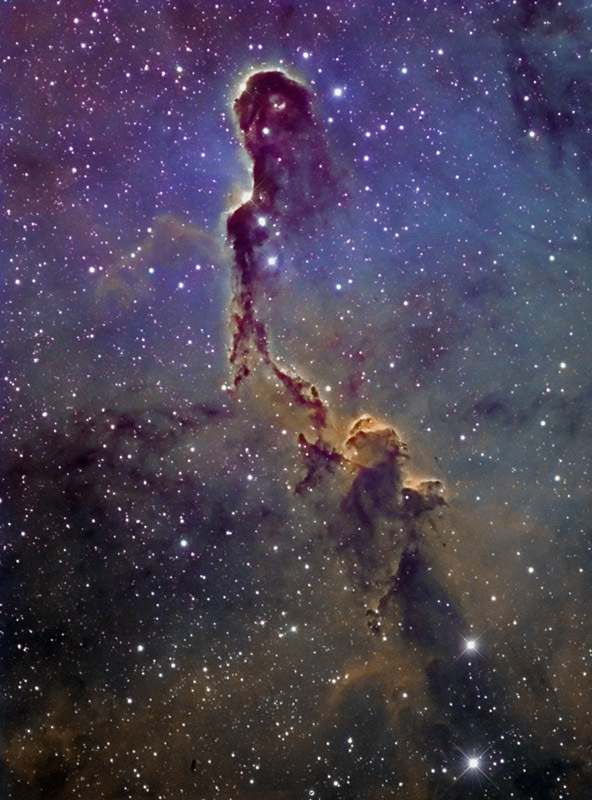 It's an image of the Elephant Trunk Nebula. Images were obtained in the last 5 months during several nights. Images were made from HI-Ambacht in The Netherlands. After careful plans to observe, photograph and sketch the total lunar Eclipse of Dec 10th 2011 in the Portland city center, fog formed late, so plans to relocate were rushed at the last minutes as we drove fast from the city to the Columbia River Gorge Crown Point Oregon Vista House, yet to find a hundred people, photographers, etc, most were ensconced in their cars with engines running, while Gorge east winds gusted to 60 mph with 25 degrees F.
So I set up my Celestron Nexstar 5i telescope anyway, huddled into the wind-shielded side of the Vista House with a few brave other photographers. I made quick mental notes of the image at medium power through the telescope and began to photograph crudely as the wind buffeted the scope and my Sony NEX5 camera poised high and teetering on its tripod over the telescope eyepiece. I made a few photographs for reference and some visual mental observations and notes were taken. I have possibly observed over two dozen total eclipses to date since my mid teens years; photographing perhaps a dozen of those events but this was the first sketch. I noted the very slight turquoise-blue fringe on the sunlit edge just after totality, as they predicted and rendered it slightly to the sketch. Much in post preparation was then later made in the past week at home to produce this accurate large technical documentary dry pastel sketch onto 19" X 25" black Strathmore pastel paper completed today, December 19th 2011. As the foreground ambience seemed as partly visual and incidental to the whole scene, I decided to add in the nostalgic gas street lamps that slightly reflected the Vista House behind, also slightly showing the moons image on its windows and the streetlight lantern glass, causing several repeated reverse reflections. Equipment: Pentax Spotmatic II 35mm SLR with 300mm f/4 SMC Takumar wide open. 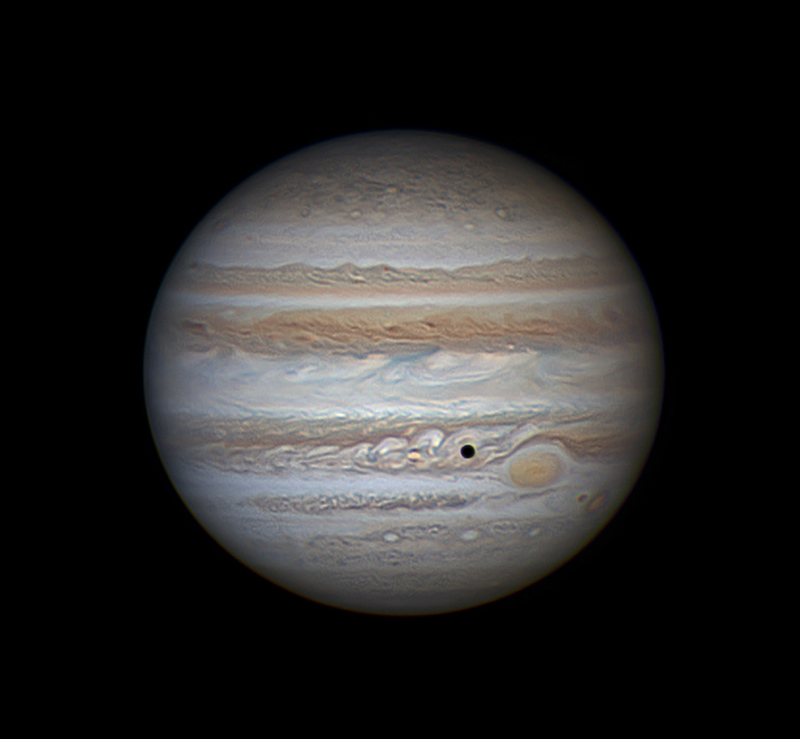 Camera piggybacked on Meade 2080 SCT. Tracking: Manually corrected via illuminated reticle eyepiece and drive corrector. Taken from Sao Bernardo do Campo, Brazil on March 9, 2012. 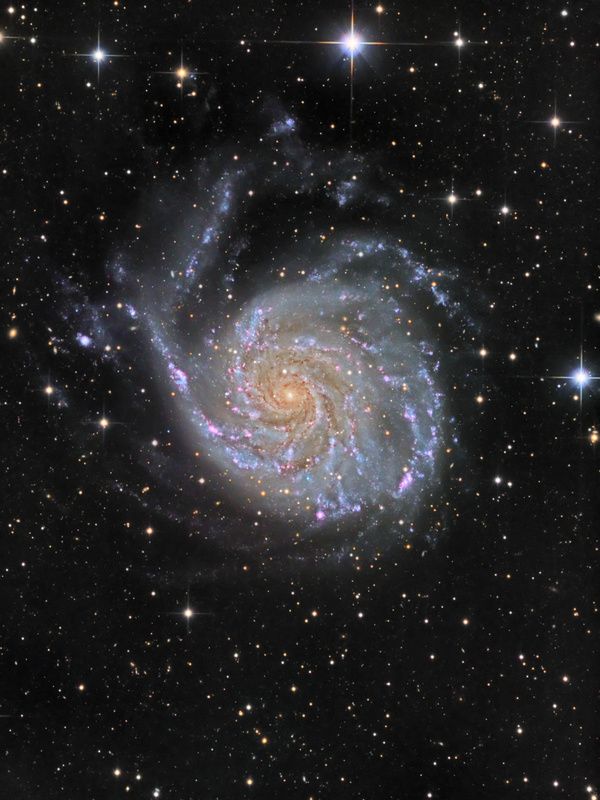 This picture was photographed during March-May, 2012 in Khlepcha observatory, Ukraine. HaLRGB filter set Baader Planetarium. Here is my submission for June 2012. 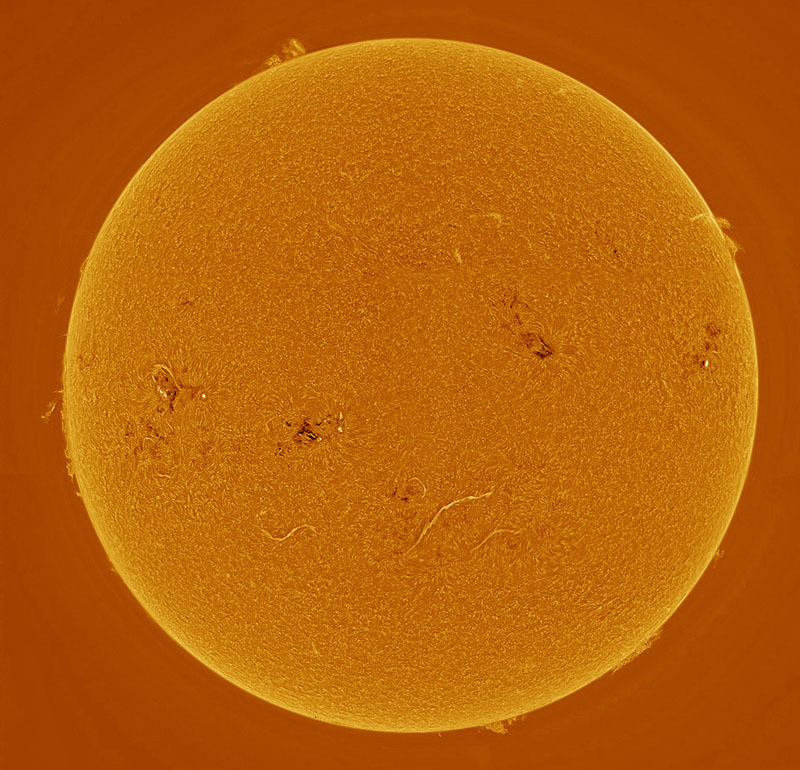 It's a solar image made on 27th of May 2012 with a Lunt 60/BF1200 and a DMK 21au618. 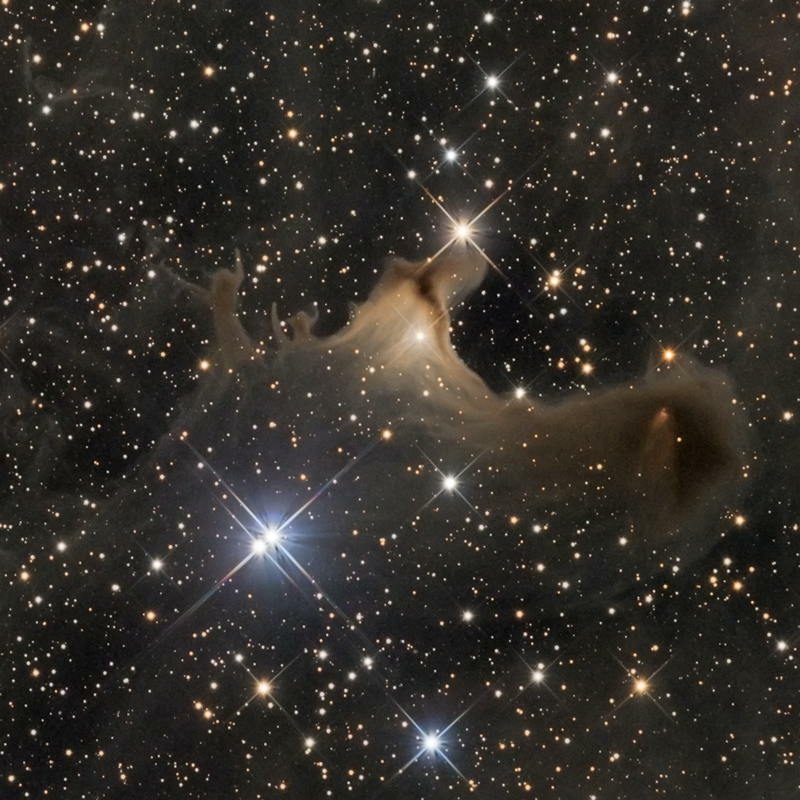 NGC6823 Emission nebula and star cluster. Narrowband Image with HSHO filters as LRBG. Image data acquired from Virginia City, Nevada (outside Reno) USA on the nights of 7/10 and 7/11 2012. 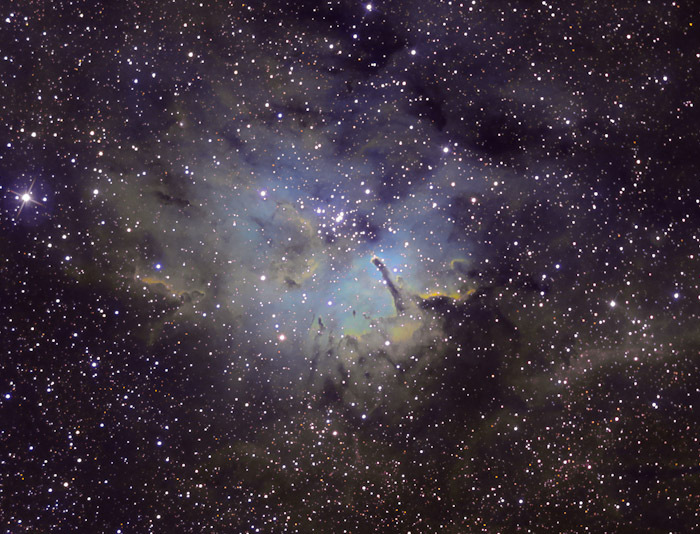 Full-sized image of NGC6823 at Flickr. 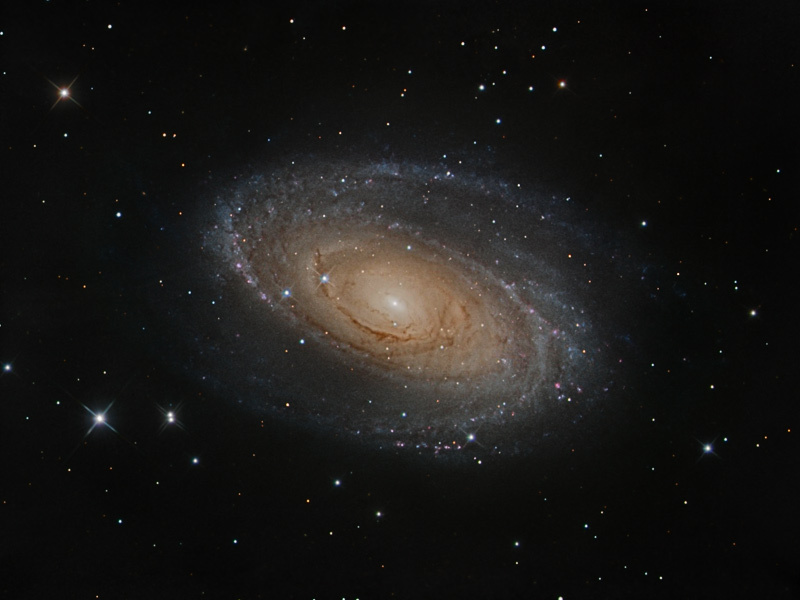 Image acquired using Equinox Image, with guiding through PhD. 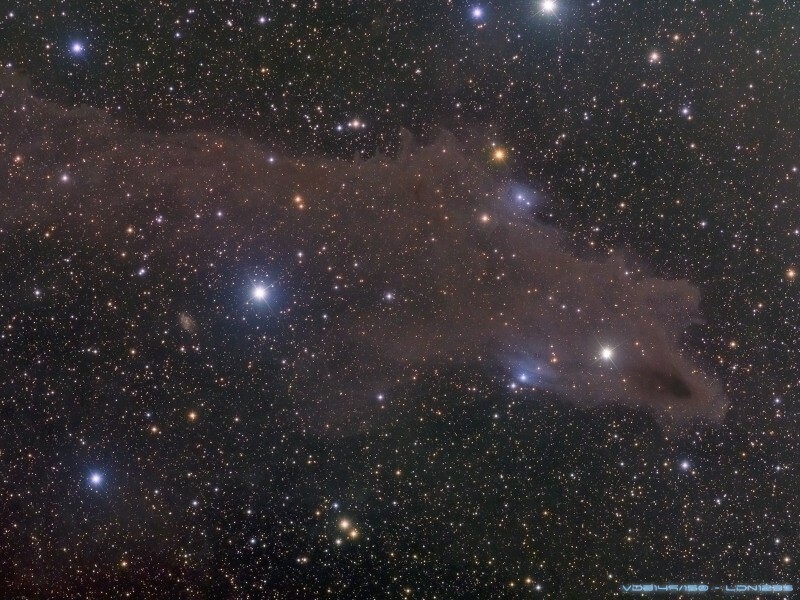 Preprocessing (darks, flats) prepared using Nebulosity. Stacking and post-processing performed using PixInsight, Adobe Lightroom, and Adobe Photoshop. 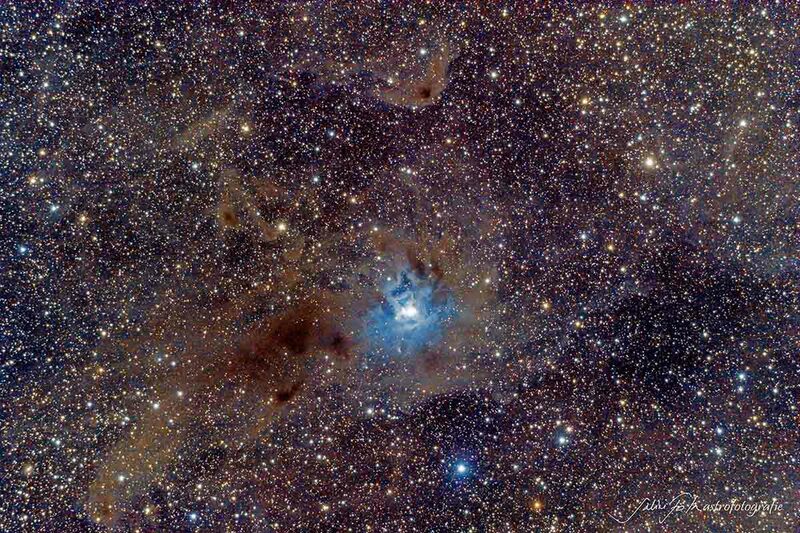 NGC7023 - Iris Nebula, taken with pure DSLR, unmoded/uncooled on almost pitch black sky. 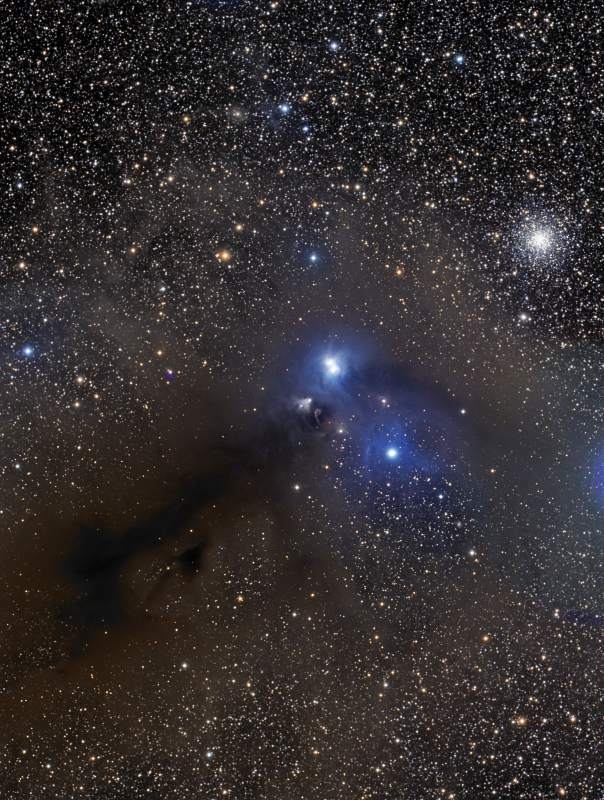 16 x 1200s exposures for H-alpha emission = 5h 20min. Total exposure time 13h 20min. 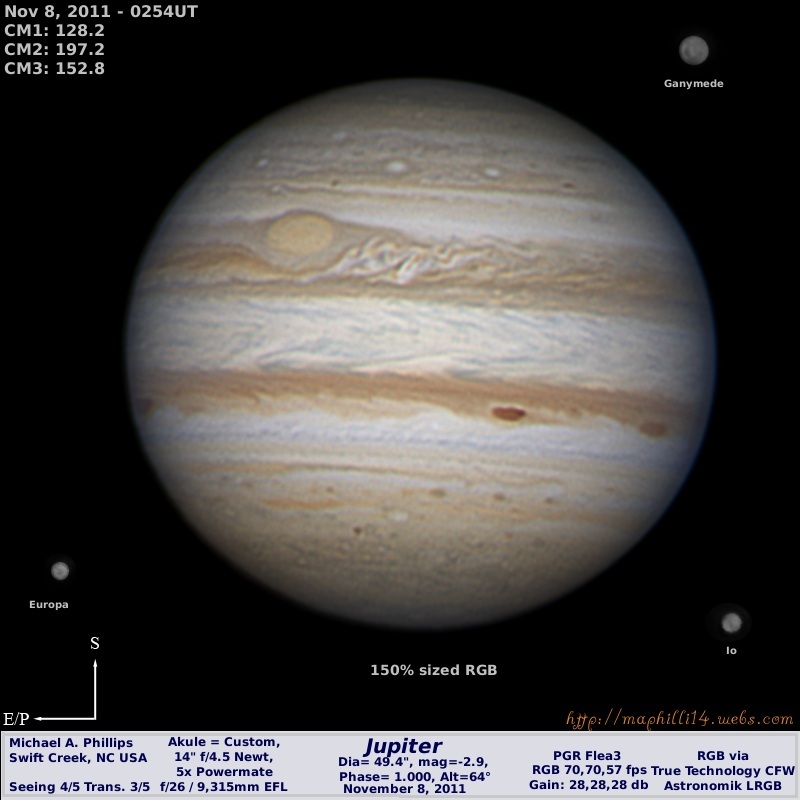 Jupiter and Io taken at 8:24UT on 11-22-12. Two images combined in Photoshop using 'masks'. Milky Way: Modified Canon 1100D(T3), Canon lens at 16mm., 1x 240sec.exp. Foreground: Canon 550D(T2i), 1x 1/200sec.exp. 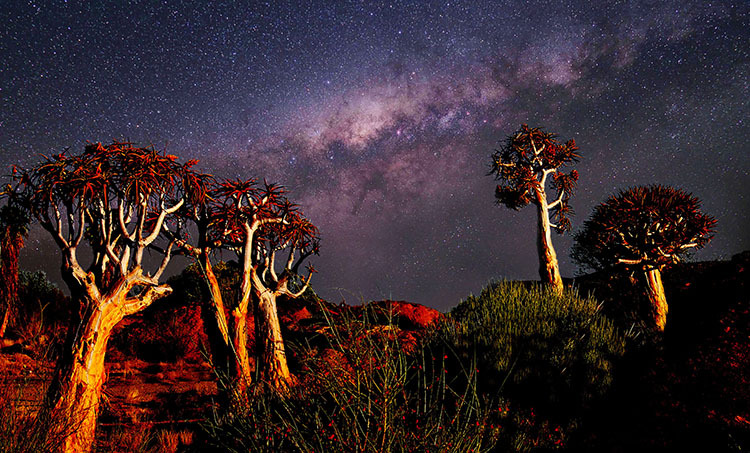 Location: Augrabies Falls National Park, South-Africa.